UNAVCO's recently purchased Terrestrial Laser Scanner (TLS), will be used for a number of investigations in Antarctica. Currently, scientist Bruce Marsh, the Principal Investigator of Johns Hopkins University, and Bjorn Johns, a UNAVCO Project Manager, are scanning a beautifully exposed magmatic mush column (MMC) in the Dry Valleys of Southern Victoria Land. This MMC has been called a Rosetta Stone, because Marsh believes it provides some of the long sought connections between lava erupted at the surface of the earth and plutons at depth. The TLS scanner is particularily useful for this application because as it digitizes, it allows for the accurate quantification of such landforms. The cold desert atmosphere of the Dry Valleys has preserved this volcanic plumbing system, an extensive system of stacked magmatic sheets or sills that are connected to a deep-seated mush-dominated (i.e. crystal-laden) magmatic source below, leaving it un-vegetated and exposed by erosion. The sills and associated volcanic rocks in the Dry Valleys resulted from the break-up of Gondwana approximately 180 Ma, making the Dry Valleys Earth's most ancient landscapes. The TLS was purchased with an Office of Polar Programs-funded Major Research Instrumentation (MRI) grant. Read more about Magmatic Mush Columns in Bruce Marsh's EOS article A Magmatic Mush Column Rosetta Stone: McMurdo Dry Valleys of Antarctica, EOS, Vol. 85, No. 47, 23 November 2004. 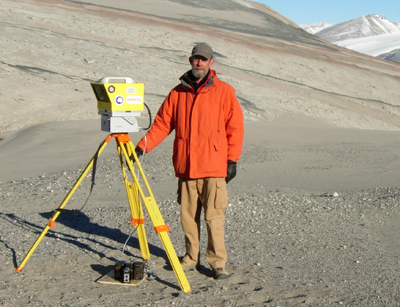 Figure 1 - Bruce Marsh of Johns Hopkins University stands with UNAVCO's new Terrestrial Laser Scanner in the Dry Valleys of Antarctica. 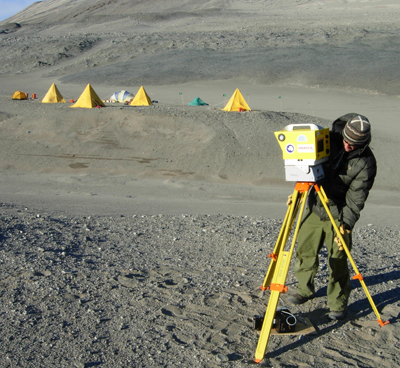 Figure 2 - Bjorn Johns of UNAVCO finalizes set up of the new Terrestrial Laser Scanner in the Dry Valleys of Antarctica.